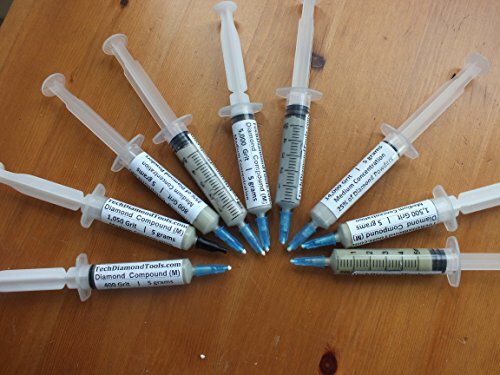 1 unit of 5 grams of 200.000 Grit, Mesh Diamond paste 5 gram syringe Grit # 200,000", Mesh (0-0.1 Micron) Diamond paste of (H)-high concentration, has 50% concentration diamond powders. 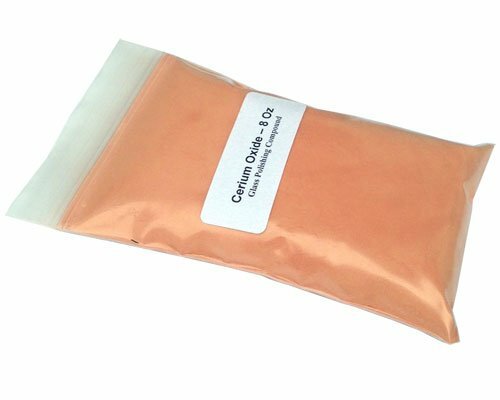 This Cerium Oxide can be used with a hand pad for light surface cleanup, powered hand devices for scratch and surface repair, mechanized scrubbers in mirror silvering lines, or as the final polishing step in multi-stage edging and beveling equipment. Measure out the proper proportions of heated water (at least 80 F/30 C) and Cerium Oxide into a container and mix thoroughly. Slurry temperature should be maintained between 90 F and 105 F (32 C and 40 C) for optimum performance. 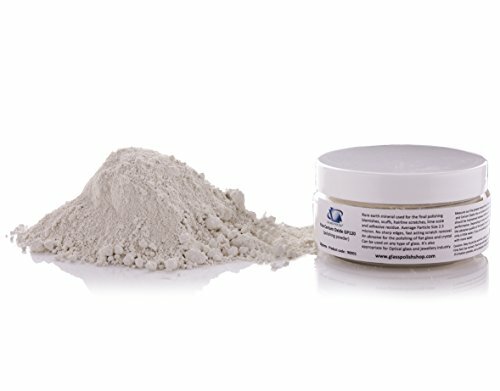 Depending on how much water you mix with will depend on the abrasive quality of the paste. 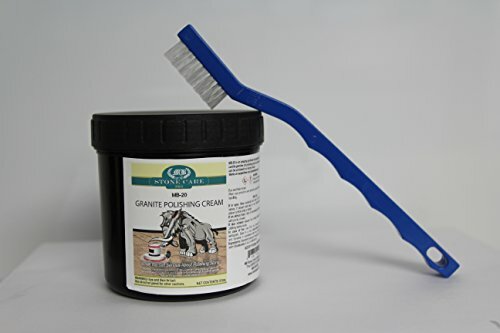 If you want a more aggressive paste mix with only a little water, if you are looking to just polish the glass surface then mix with more water. 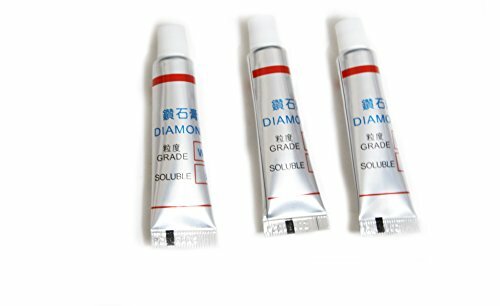 Please note for scratch removing only : if you can catch or feel scratches with your finger nail it's probably to deep to recover damage with cerium oxide powder and glass abrasive process might be necessary. 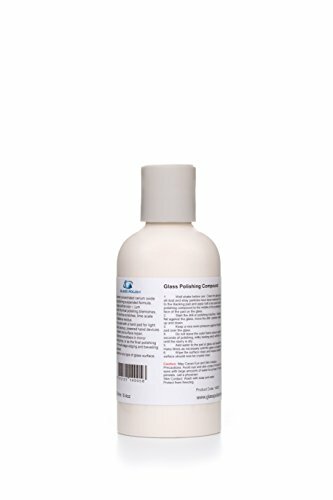 Used for the final polishing blemishes, scuffs, light scratches, lime scale and adhesive residue. No sharp edges, fast acting scratch removal. An abrasive for the polishing of flat glass. Apply on buffing wheels for polishing plastics, etc. 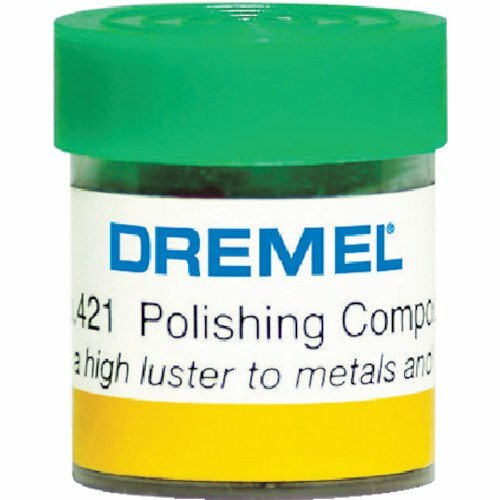 Popular for polishing shops that like to use just one compound. Also used as a second polishing process. Menzerna 439 T is the perfect and often approved paste for the efficient prepolishing of your workpieces of stainless steel and NF-metals. Replacement white diamond compound for the Beall Wood Buff System. 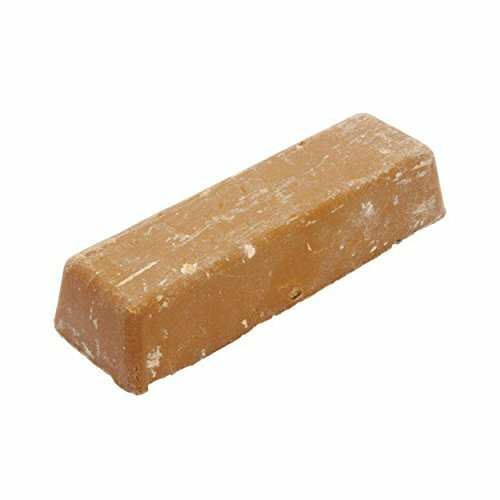 Osborn Jackson Lea, T-132 Brown Buffing Compound, Grande Bar, 2" x 2" x 9" - Use for cutting (pre-polishing) of brass and aluminum. Used with HY treated loose and sewn conventional buffs. 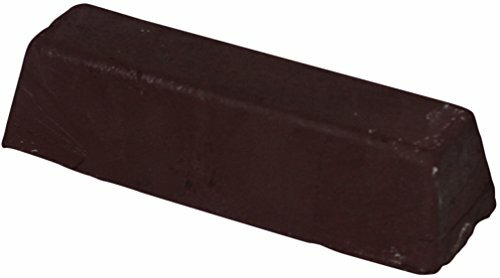 Osborn Jackson Lea, A-16 Gray Buffing Compound, Grande Bar, 2" x 2" x 9" - Use for cutting (polishing preparation) on Steel and Stainless Steel. Used with Conventional and Laminated Sisal Buffs. 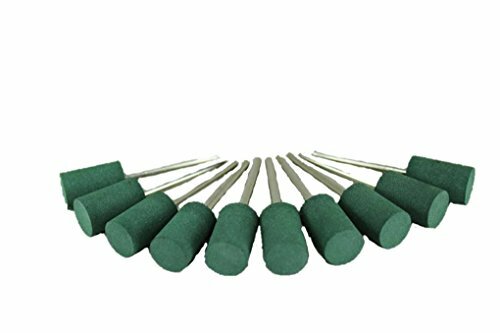 TEMO 10 pcs 10mm (3/8 inch) Cylinder RUBBER Rotary Tool Polishing Burr with 3mm (1/8 inch) Shank for Dremel and compatible 10 pieces of RUBBER polishing burrs for all your polishing needs. The heads are in cylinder shape with diameter of 10 mm. All 3mm (1/8 inch) shank. Fits Dremel and other compatible rotary tools. 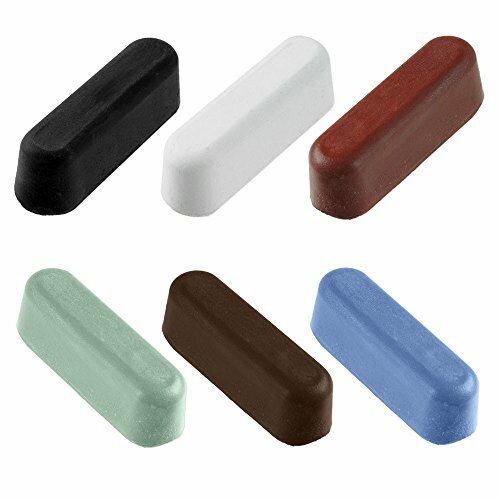 10 pieces of RUBBER polishing burrs for all your polishing needs. The heads are in cylinder shape with diameter of 10 mm. All 3mm (1/8 inch) shank. Fits Dremel and other compatible rotary tools. 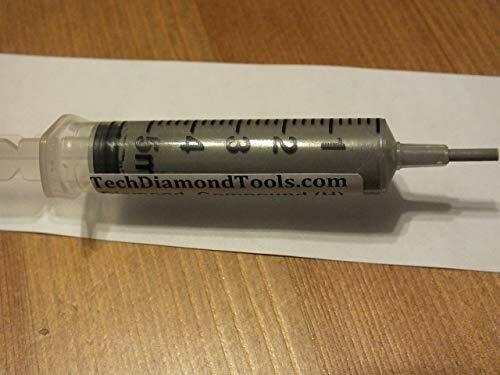 Diamond polishing paste, diamond polishing compound, lapping paste, diamond lapping compound, set of 5 syringes 5 grams each. This set is perfect for jewelry polishing, granite polishing, all lapidary purposes. 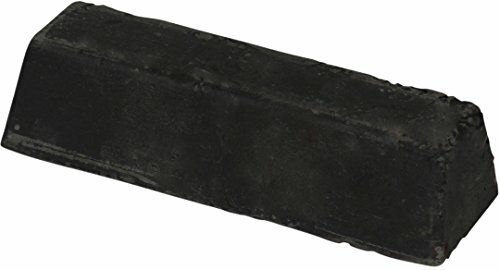 For all lapidary purposes, designed to resolve all and any task. Use it on jewelry & gemstone, steel & hard metal, aluminium & zinc, all metallurgical purposes. Oil based and easy to use. The Best Professional High Concentration Polishing Set! 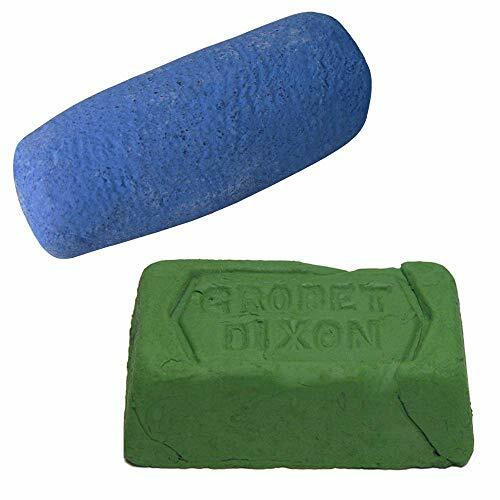 Picasso Japanese Platinum Rouge Pica Blue 350 Grams Polishing Compound & Polishing Compound Rouge Green 6.5 Oz. Picasso Japanese Platinum Rouge Pica Blue - A compound that provides an unsurpassed finish on platinum. 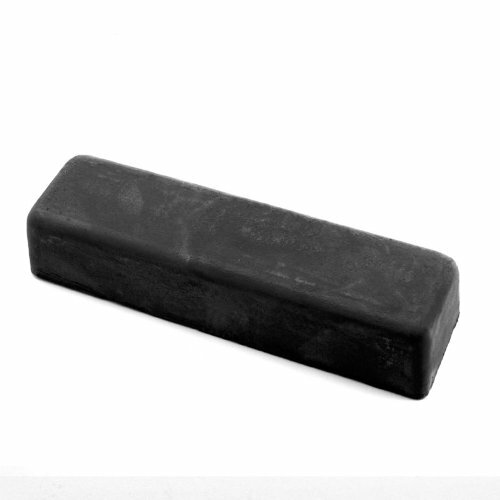 Bar Weight: Approximately 350 grams (all polishing compounds have different agents blended together; therefore, the densities and weight may slightly vary per piece. Polishing Compound Rouge Green 6.5 Oz. 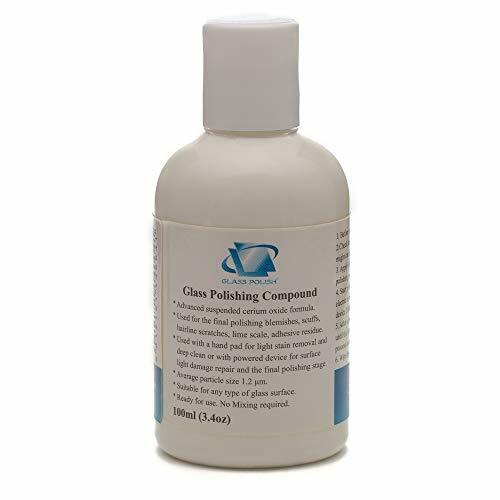 - Used in conjunction with a buffing wheel for polishing jobs or leather strop for straight razors, knives and chisels these compounds will bring out a beautiful mirror finish on most metals. 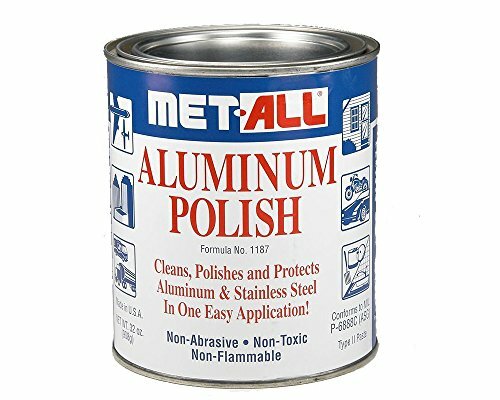 Easy-to-use polish for bringing out the best in metal. 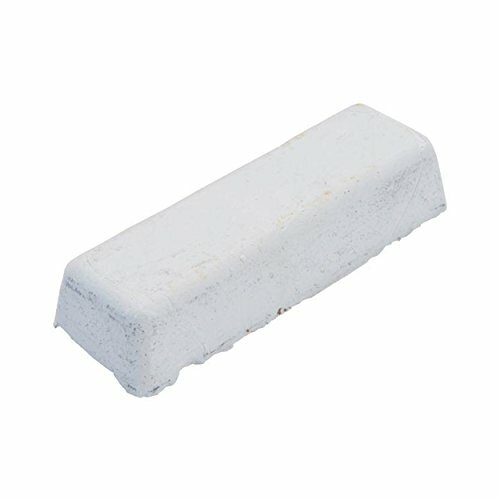 Great compounds for honing knife and tool edges. 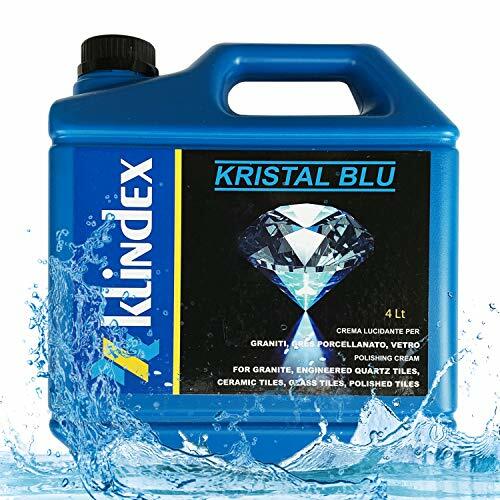 Kristal Blu is a new polishing cream "Crystallizer" for Granite, polished tiles, vitrified tiles, and artificial stones. Thanks to the thermal force of the crystallization machine and the red pad, Kristal Blu can uniformly penetrate into the gaps of molecules and then solidify into high-strength rigid transparent protective layer, just like form a crystal shield on the surface of the polished stone. It enjoys powerful properties against dust, acid/alkali, washing, scratches and stains, and excellent self-cleaning performance. After the treatment with Kristal Blu, granite, vitrified tiles and artificial stones will present limpid and attractive surfaces. Click 'Add to Cart' to get this premium 100% made in Italy high-quality product! 100% MADE IN ITALY: Klindex products are the highest quality and made in Italy since 1988. The brand you can always trust!